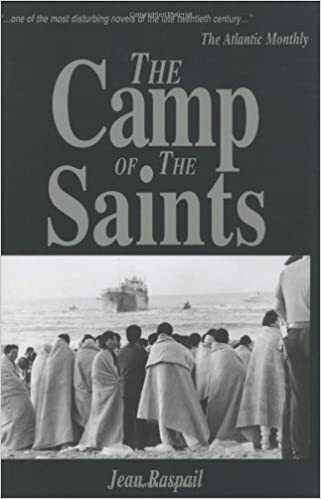 The Camp of the Saints (French: Le Camp des Saints) is a 1973 French novel by author and explorer Jean Raspail. The novel depicts the destruction of Western civilization through Third World mass immigration to France and the West. Almost forty years after its initial publication, the novel returned to the bestseller list in 2011. On its publication, the book received praise from some prominent conservative French literary figures but has been widely criticized or dismissed by both French and English language commentators. It is controversial and has often been denounced as racist and xenophobic, especially due to its anti-immigration themes. The Southern Poverty Law Center has compared the book to The Turner Diaries, attributing its popularity with white nationalists to the plot’s parallels with the white genocide conspiracy theory. If this book was required reading in our schools, the country would never be divided and the world would be safer. While the book is dismissed as racist, the truth often is dismissed using this pejorative. This book was written 45 years ago and accurately describes what is happening today in Europe with the Muslim invasion. The players outlined in the book fit the players masquerading as leaders in Europe today. If you want to understand how the Muslim invasion was planned, read this book.